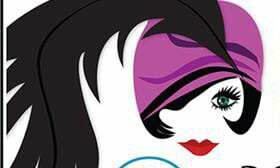 Flapper girl wants to see you at Casino Night. ASTORIA — Get ready for a Roaring Good Time at 6:30 p.m. Saturday, Feb. 16, at the Heritage Museum. The Clatsop County Historical Society’s annual Roaring 20s Speakeasy Casino Night promises a fun time for all. There will be games of Black Jack, Roulette, Craps, and for an additional fee, Texas Hold ’em poker. Prizes for top chip holders and best 1920s costume will be awarded at the end of the night. Entry is $15 for an individual, $25 for a couple. Get in on the action at the Texas Hold ’em tournament for an additional buy-in of $30, $40 or $50 (call for details). The museum is at Exchange and 16th streets. All proceeds support the Clatsop County Historical Society, a nonprofit educational organization dedicated to preserving and presenting the history of Clatsop County and the surrounding area. For more information, contact us by calling 503-325-2203 or e-mail to cchs@cumtux.org.